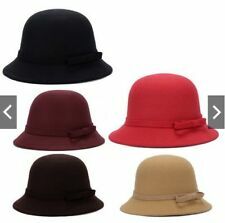 Wide floppy brim, elegant bow not, making you more attractive. Great for cruise, travel, gardening, camping, boating, fishing or beach vacation. Cotton thread material, skin-friendly, breathable, comfortable. Very comfortable Stretch Fabric,a perfect gift to yourself or friends. Pls Note:Different computer have different monitor,the color may be a little difference.